Today, I’m going to start my looking back on 2015 with remembering the best and worst races of 2015. Let’s star off with the worst because I always like to end on a positive note. The worst race for me this past year was the 2015 Rock n Roll Los Angeles Half Marathon. It was my slowest half marathon of the year and one where the entire last half was almost pure misery. When I put this race on the calendar, I knew it would be two weeks after the Bank of America Chicago Marathon. Why put a half marathon so close to a full marathon? Two reasons. First, there are plenty of peeps in the We Run Social Crew that have done this (as well as other running bloggers). Second, in 2014, after running my first full marathon (Walt Disney World Marathon), I raced in the Surf City USA Half Marathon three weeks later. In that race, I ran the fastest 8 miles of my life. 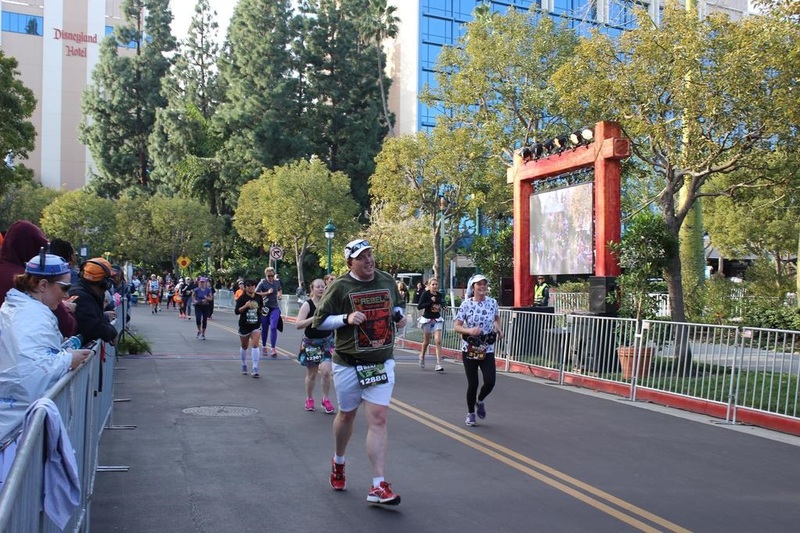 If not for a cramp in my right lower calf, I would have crushed my previous half marathon PR (ironically set at the 2013 Rock n Roll Los Angeles Half Marathon). So, I thought that I should have been well conditioned for a half marathon after preparing for a full marathon. It all seemed like a good bet. The problem is that my preparations for the Bank of America Chicago Marathon didn’t exactly pan out the way I would have liked. 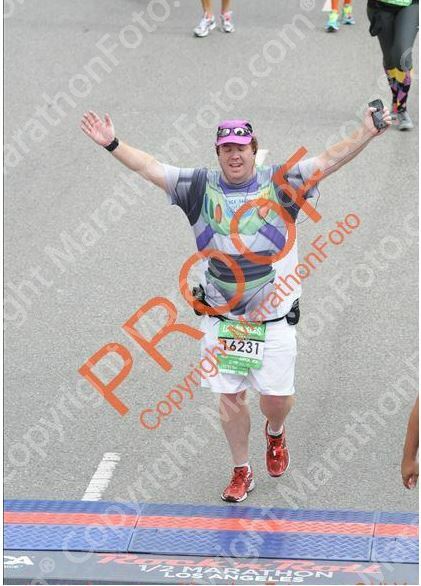 I was much better prepared for the 2014 Walt Disney World Marathon than this one. So, my conditioning wasn’t as good for the Rock n Roll Los Angeles Half as I was in for the 2014 Surf City USA Half Marathon. Mile 7 or 8 of this year’s Rock n Roll Los Angeles took a lot out of me. I was already pushing hard for the first 10K. By the time I got up the crazy hill behind the Walt Disney Concert Hall, my race was pretty much over. The low point was when I watched Pavey (aka Brian the Pavement Runner) pass me. He ran the 5K and then got back in the corrals to start the half marathon. As he passed me, I realized how little I wanted to continue running. I was tired, sweat was burning my right eye and I had nothing to relieve either. As I struggled through mile 10, I had an epiphany. Through blogging, I’ve come across some pretty fast and accomplished runners. They do all these crazy runs and it looks all too easy. I realized in mile 10 just how hard it is. I also thought about what I’ve seen in their blogs. People like Pavey, Carlee, and Sharpie just don’t miss runs/workouts. As I struggled along to finish the race, I vowed to make training a high priority. If I ever wanted to get faster, I need to make every run. If you’ve noticed in my training recaps lately, I’ve only missed one workout since two weeks before Avengers Half Marathon Weekend. The Rock n Roll Los Angeles Half Marathon is a large part of the reason why. It’s also something I really need to carry over into 2016. I’ll talk a little more about this on New Year’s Day as I share some of my goals for 2016. 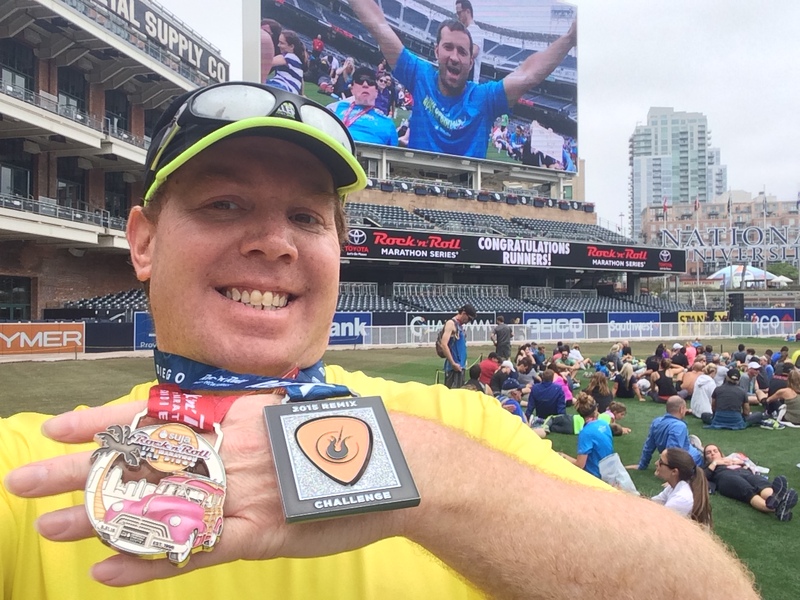 Best race of 2015 was the Rock n Roll San Diego Half Marathon. Why wouldn’t it be? I set a new 2nd best half marathon finish time at this race. This race was one I worked very hard for. Once the Los Angeles Marathon was over, this was the race I trained for specifically. I really wanted a new half marathon PR. It just wasn’t meant to be. 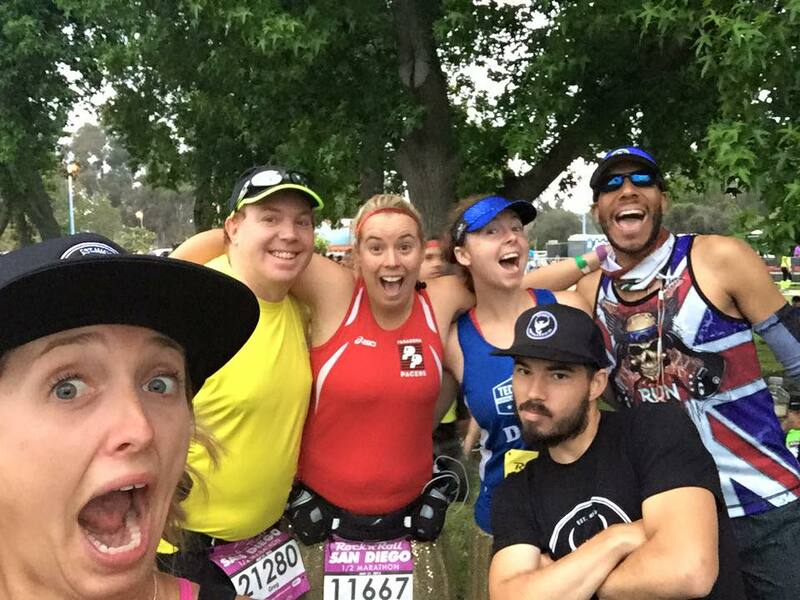 During the weekend, I got to hang with the We Run Social Crew…. 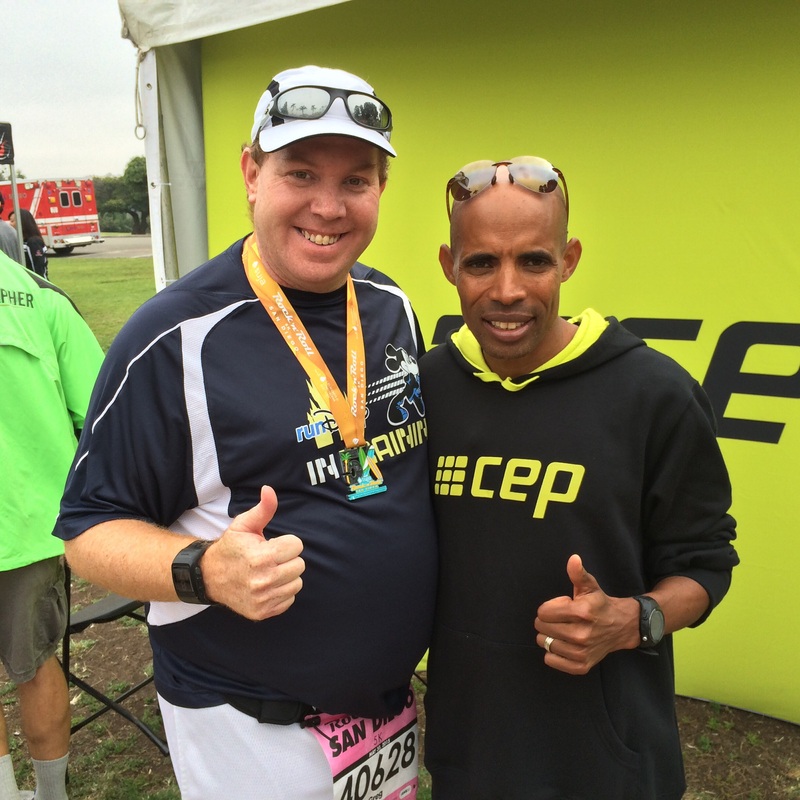 I got to meet Meb! Not once…. But, twice! 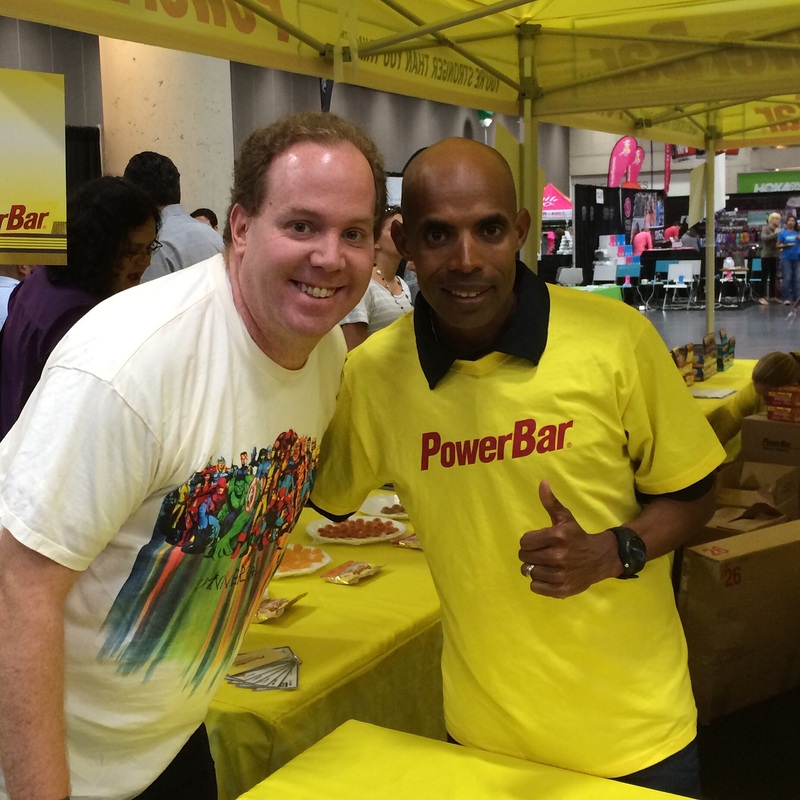 I also got to listen to an inspiring Q & A with Meb at the Expo. Some of the advice he gave is a large part of why I ended up with a new second fastest half marathon time. He talked about having 2-4 goals entering each race. I had just that. He talked about how to not get too down when you realize goal A isn’t going to happen. Once you get there, it’s time to move on to goal B until that isn’t going to happen. Then, move to C, etc. As I ran the Rock n Roll San Diego Half Marathon, I came to the point where I realized my goal A wasn’t going to happen…a stop at the port-a-potties pretty much ended my goal A aspirations. So, I thought about what Meb said and kept pushing on. By the time I got to the end of mile 10, I was on pace for a new 2nd best time. That motivated me all the way to the finish. 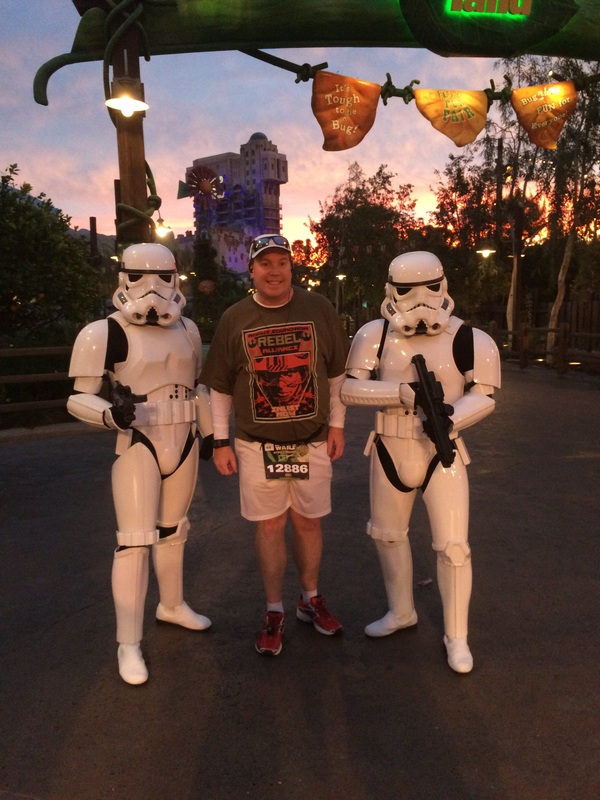 My favorite runDisney race by a mile was the Inaugural Star Wars Half Marathon. Of the 3 runDisney half marathons I ran in 2015, this was my fastest race and the funnest half marathon I’ve ever run! I’m a huge Star Wars fan. So, this race was a complete no-brainer for me to run. Everything about this race was pure magic! They had a Star Wars scroll at the start of the race. The race announcers played out a Star Wars kind of scenario. We had R2-D2 and C-3PO at the starting line. The lines were insane in the theme parks. Yet, somehow, I ended up with one picture with Storm Troopers in DCA! However, in miles 8 and 9 is where the party was at for this race. We had nearly 2 miles worth of Cos Players and members of the 501st Legion line the race course. It was too much fun for words and helped those miles pass all too fast. There were no lines for pictures with these characters. So, I stopped for a bunch of them. I was literally grinning from ear to ear for at least another mile or two. I even had a Star Wars.com blogger give me a shout out at the finish area. He sent me this picture! It was a fantastic race weekend that I can’t wait to run again in just a few weeks! 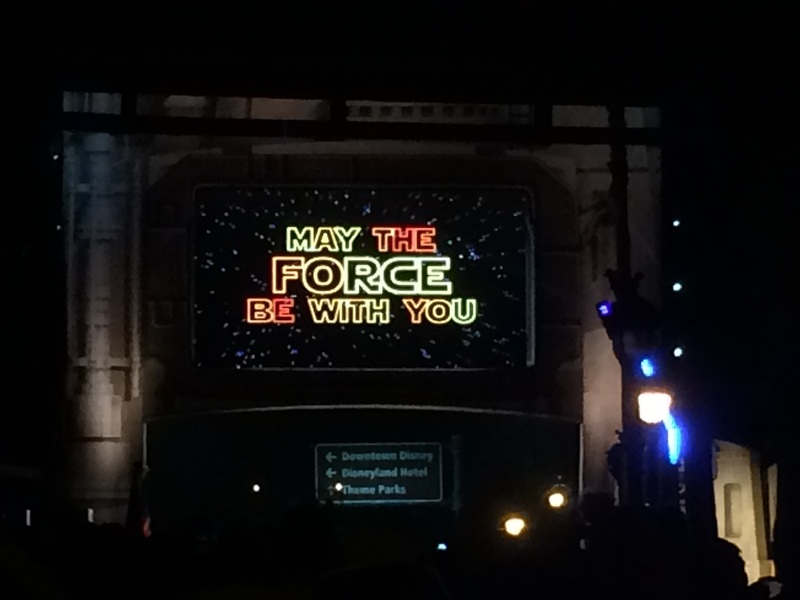 May the Force be with us All who are running in the 2016 Star Wars Half Marathon Weekend at Disneyland! What were your best and/or worst moments racing this past year? I’m so excited to hear that the Disney Star Wars Half was your favorite event. 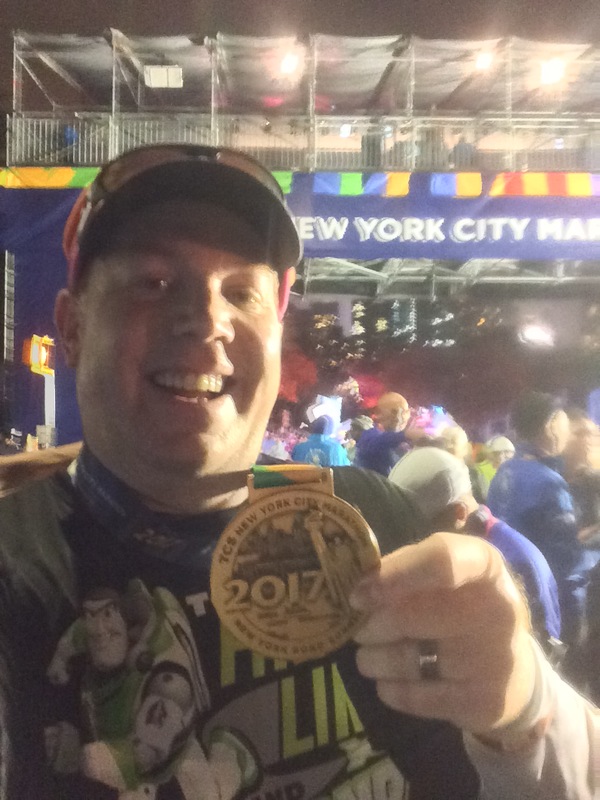 I’m doing the Rebel Challenge next month and it will be my first Disney run experience. I’m stoked and ready to go! PS First time reading your blog. I’ll be back! Thanks for stopping by! 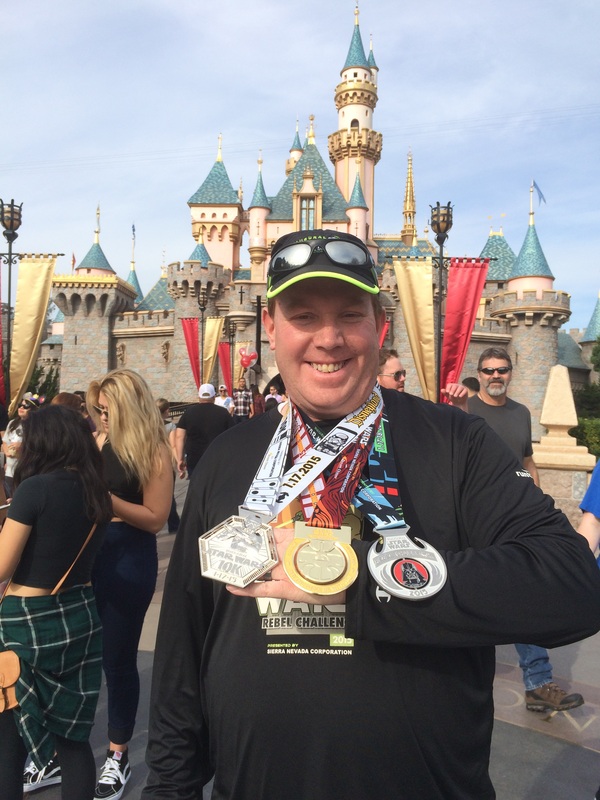 I’m so excited for you to have your first runDisney experience running the Rebel Challenge! 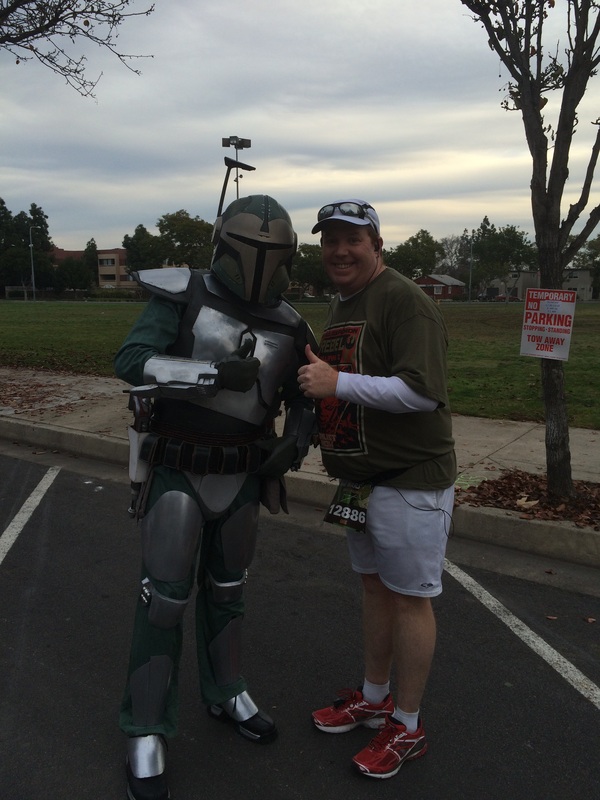 Best advice I can give about the Star Wars Half Marathon is to wait for pictures until you’re on the streets. If it’s like last year, they’ll have lots of characters out and the lines to get pics with them will be extremely short. The lines in the theme parks were insane last year. 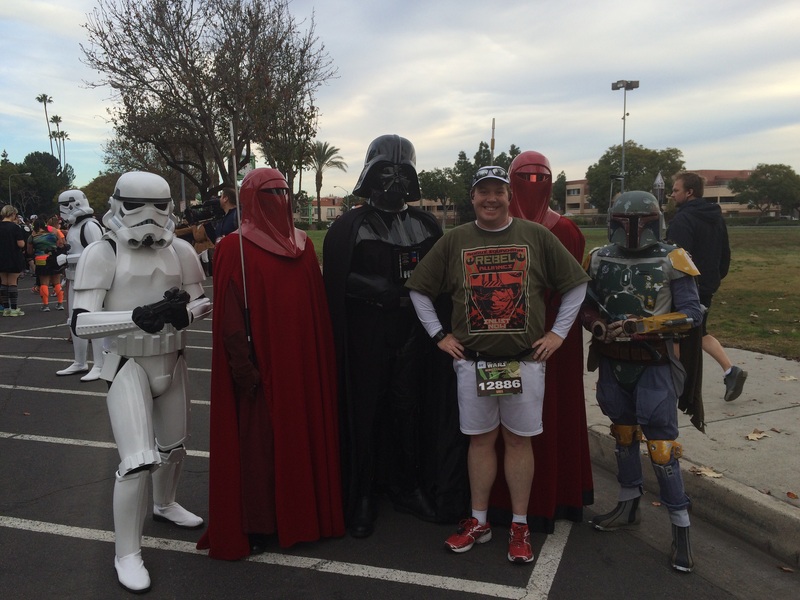 I hope you enjoy the 2016 Star Wars Half Marathon Weekend! great recap. I still cant believe they changed the LARnR course just a few days before-those hills they added are new joke! I know. LARnR was just insane. Not sure if I’m going to run it in 2016 yet. RnR San Diego is an amazing event. I can’t wait to run the course again!